Having regularly graced screens, appearing in programmes including The Six O'Clock Show, The Restaurant, Healthy Appetites and last year's Celebrity Operation Transformation, Gary O'Hanlon is a familiar face to Irish TV viewers. However, the 40-year-old is amused to see himself described, as he so often is, as a 'TV chef' because he's never had his own show. "I have to laugh," he says. "I feel like ringing RTÉ and asking, 'At what point am I going to have a TV show that justifies being called a TV chef?'" Should a show happen, O'Hanlon says he'll be ready for it but regardless, he is a busy man. Having spent a decade as head chef at the award-winning fine dining VM restaurant at Viewmount House, Longford, he joined independent hospitality supplier BaxterStorey Ireland this January as culinary director, a position that sees him monitoring the work of 90-plus chefs and visiting company sites all over Ireland. He also has a weekly food slot on Newstalk's Lunchtime Live and is in the early stages of discussions for a podcast. 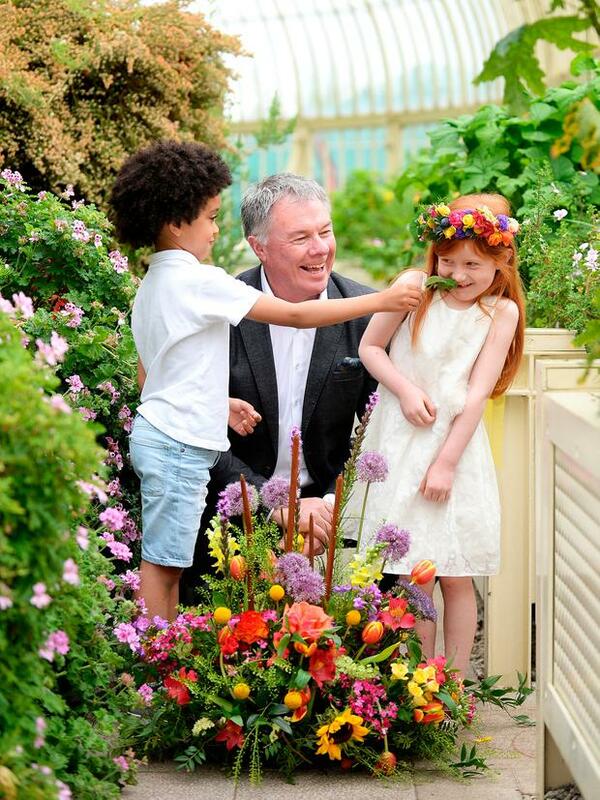 This year, he is making his debut at Bord Bia's Bloom in Dublin's Phoenix Park, joining other chefs including Neven Maguire, Catherine Fulvio and Rory O'Connell in the Food Village. O'Hanlon will be appearing at the Quality Kitchen Stage on Friday, June 1, from 11.45pm to 12.45pm, where he will demo his healthy take on the classic dish chicken puttanesca, and a family-style, crowd-pleasing Eton mess with Irish berries. Food-wise, he's also including a nod to his roots. "Obviously being from Donegal and spending a big chunk of my career in Boston, seafood is something that's always close to my heart. So a dish I'm going to do at Bloom is using some Mulroy Bay mussels in a little green curry coconut broth with shiitake, pineapple, scallion and coriander. Mussels take really well to spices I find, and this is packed with flavour and it's really simple," he says. It's a rustic dish ideally served out of a large dish on a table, where people can help themselves, accompanied by plenty of crusty bread. This is the way he likes to entertain at home in Granard where his lives with his wife Annette and children Cora (4) and Ollie (1) and where they regularly host get-togethers for family and friends. Rustling up food at home is no busman's holiday for this chef, but instead, it's where he thinks the real joy in cooking comes out. "We have a lovely kitchen at home and when we built our new house four years ago, thankfully Nettie, my wife, let me splurge a little bit in the kitchen, for the greater good. Cooking at home is easy and it's just enjoyable." He has been working as a chef for more than 25 years and admits that it is not always the easiest career choice. "You have to be fully immersed to be a chef. It's a tough, tough life," he says, but adds that it is also a very fulfilling one. "It exposes you to so many incredible people and obviously incredible food and the chef community in Ireland in particular is really open." Key attributes he thinks that a great chef needs to possess are integrity, discipline, to be a hard grafter, to have the ability to listen, learn and pass knowledge on, and most of all to have the correct mindset. "If you want to work at anything, if you want to learn and be the best of the best that you can be, if you dig deep, and you want to go to the next level, it's all mindset," he says. "I look at a number of sports people, who might have been average players but had an unbelievable career and it was always their mind." As a country, he thinks that Irish people have become more adventurous in their food choices and that with the current generation, the gap with the Spanish or Italian way of life, where food is an integral part of the everyday, will be closed. "Growing up in Ireland, it was unbelievably like that, but when you really think about it from a culinary point of view, it wasn't very 'fine'. We didn't really shout about it and we were a bit overly humble about how good our food was," he says. "Most gardens had a wee plot, we were growing everything, and it was just a way of life: your carrots and your onions and your scallions and lettuces and cabbages and potatoes in particular were always coming from your own land. But we just weren't shouting about it or it wasn't out there as much as in other countries." 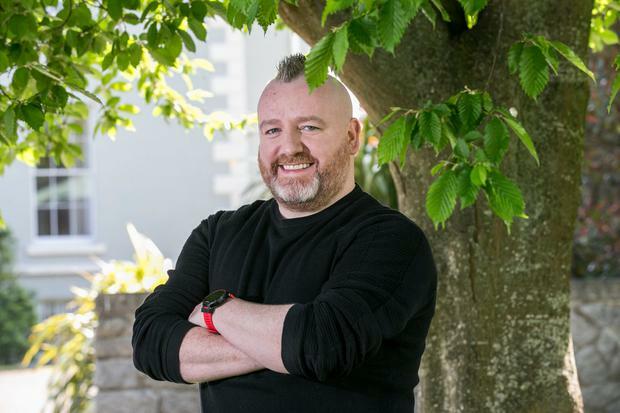 The chef is vocal in his praise of what Bord Bia - organiser of Bloom -has done in terms of putting Irish produce and chefs on the map globally, and what the body has done for Ireland's agri-food sector. One of the key messages he'd like to get across to consumers is to buy Irish when they can and to support local markets and restaurants. Another is for home cooks to start simple. "A lot of times people overthink dishes and overthink food - just go out and buy good Irish ingredients, don't mess around with them too much and don't get too stressed out about it, it's there to be shared and it's there to be enjoyed and that's what I do," he says. "Don't do the wee shopping list out of a random cook book at home and go in hoping to find the ingredient in the shop. Walk into a shop; see what's on the shelves. If it's on the shelves, it's generally in season for the most part. Start with the ingredients that you see and then make your dish on the back of that." Not related to his cooking or his accomplishments (he was named RAI Best Chef Leinster last year) but impossible to ignore is his trademark hair. Something he has discovered from his television experience is that some people believe it gives them licence to comment on his appearance. "I must chat to Neven some of the days and ask him does he get the same - 'You look much fatter on the telly' - is there a compliment in that? Or, 'I don't like your beard' or 'I do like your beard'." His Mohawk naturally gets a lot of attention and the chef says it's simply an expression of his personal taste. "My wife doesn't mind, so until the day she tells me I'm a little bit too old for it or she doesn't like it, I'll keep it. Nettie always says you're not doing any harm to anybody and if that's the hairdo you want to have, that's fine."